The Terminus Hotel in Abbotsford is quite recognizable, painted in a unique green it sits on Victoria St, newly opened and refined, it is a great pub to drink at, I was there to see if it was a good pub to eat at. 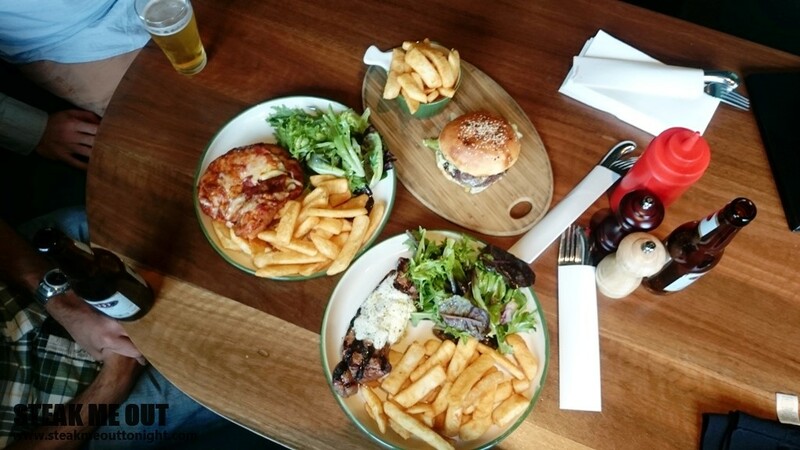 I went with a few friends and ordered three standards to judge their food, the Parma, their 300g Porterhouse cooked rare served with chips and herb butter and finally their 200g cheeseburger. 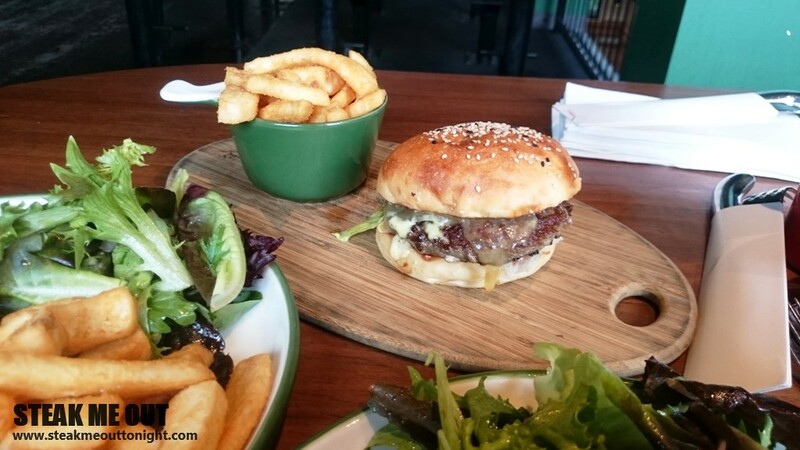 First out was the cheeseburger, it looked great, was cooked well and had a great flavour but still lacked a final wow factor, something to take it from this is a good burger to I need this in my life. Next up was the Parma, it looked great, golden cheese and the right amount of Napoli but it was slightly soggy and poorly constructed, the topping came sliding off every time you went to cut it, thankfully the flavour was great and made up for the misconstruction. Lastly the steak, it came out last, charred over a gas grill it was seasoned well and the butter carried great flavour which made up for the lack of flavour and average quality of the beef. 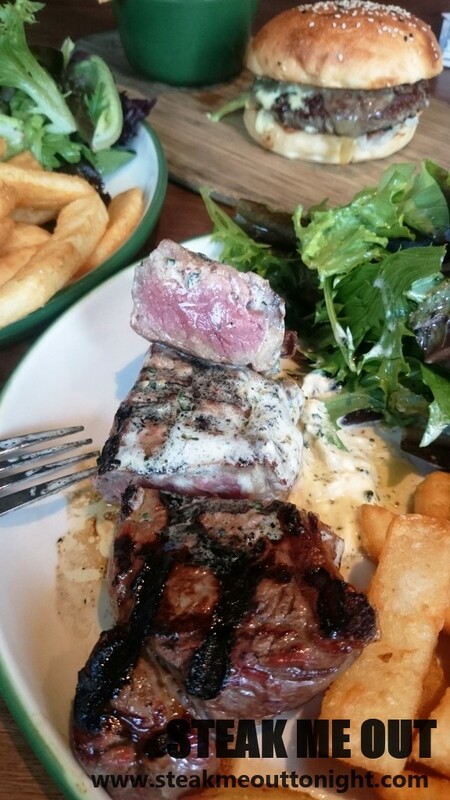 It was overcooked to a medium rare which did affect the tenderness but not to a point where it was grainy. Overall The Terminus is not a bad place to eat but it’s a great place to drink. 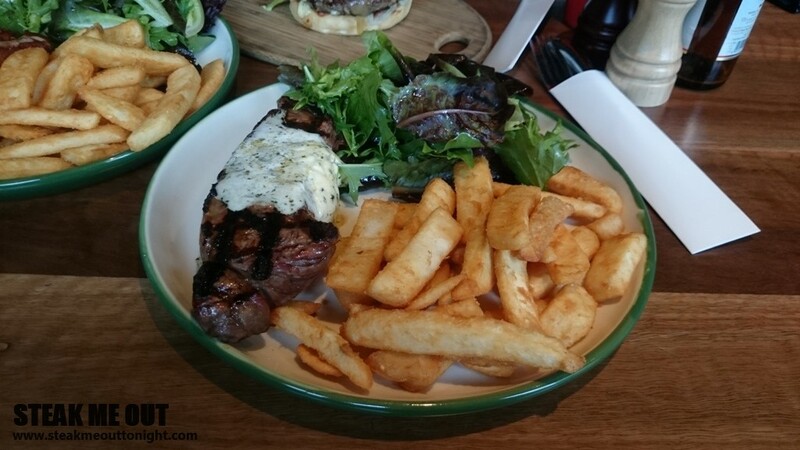 Posted on July 8, 2015 October 13, 2015 by AdrielPosted in Melbourne, SteakTagged Burger, Melbourne, Parma, Porterhouse, Steaks.